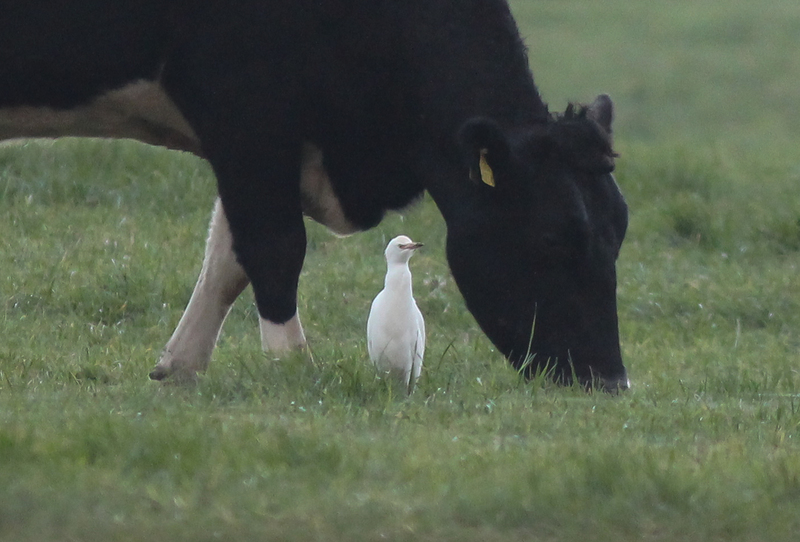 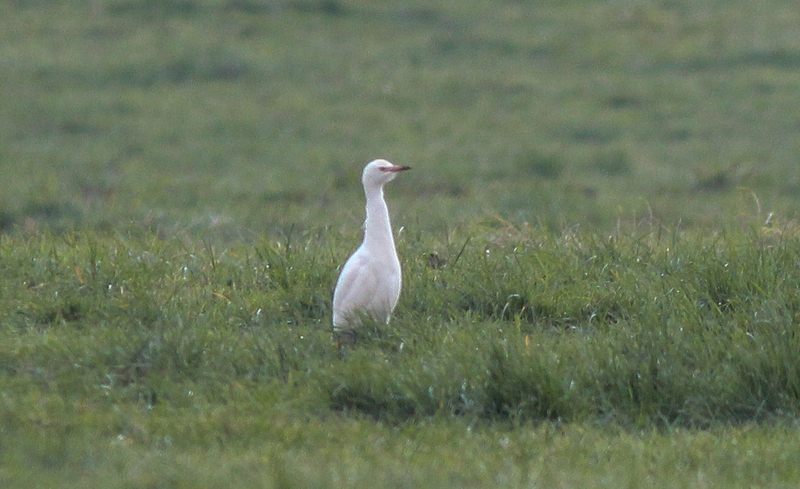 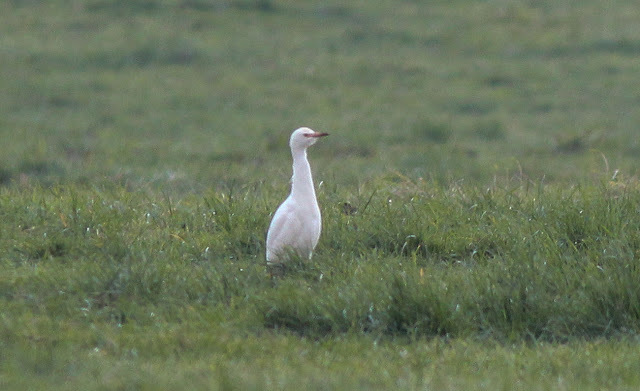 Finally managed to catch up with a Cattle Egret. 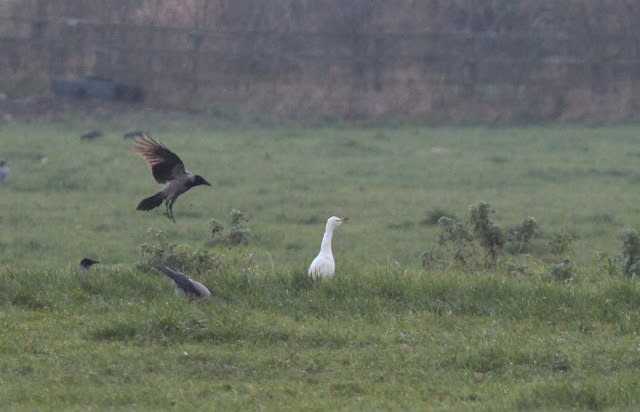 I was hoping to see the five birds in a different area over near the Greyhound stadium fields but they were not there. 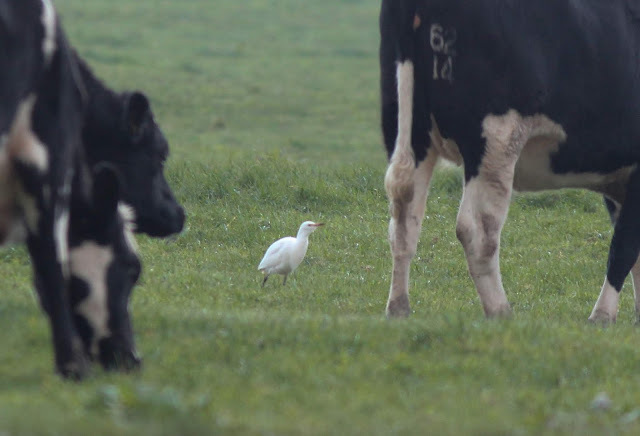 I made a return to the cows that they were seen with all week , that were now in a closer field to the road. 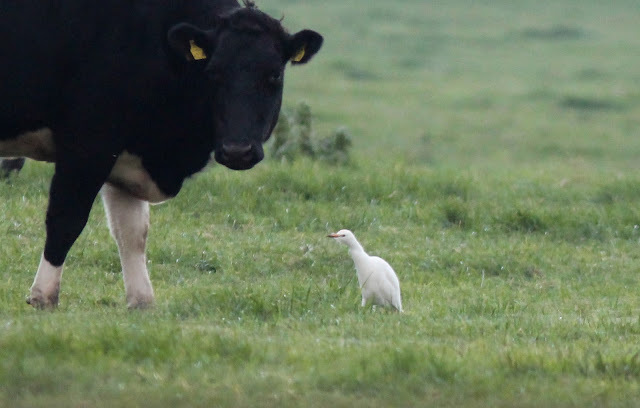 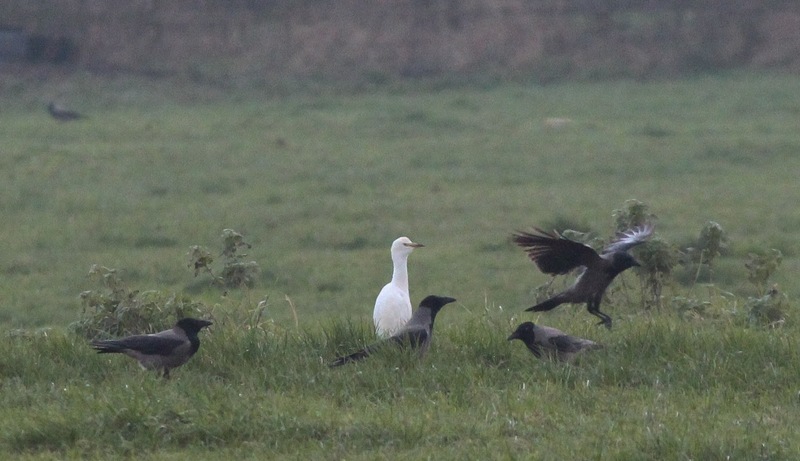 One lone Cattle Egret was doing what Cattle Egrets do.